In the EGO Psychotechnic Center we employ two psychologists and a psychiatrist who works to make psychotechnic evaluations of the bus drivers working at EGO General Directorate. 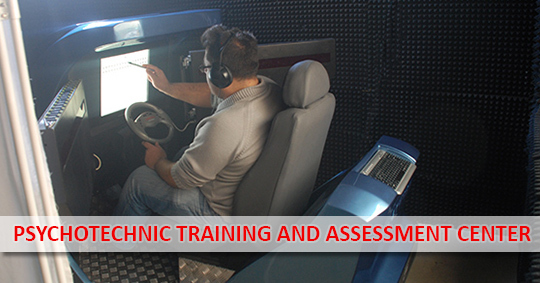 Psychological evaluation of each driver consists of one to one and a half hours of psychotechnic testing subject to the supervision of a psychologist and followed by a psychiatric examination. In the center built in accordance with the standards specified by the Provincial Health Directorate, every driver is examined in sound proof insulated test rooms which are designed simple with devices that are independent of each other and in a way the testers can listen to the test instructions with headphones.